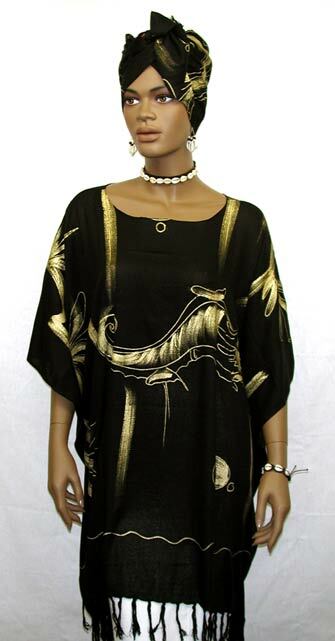 Elegance short caftan with matching gele Headwrap not shown on picture. Perfect for and all occasions. 100% rayon, dry clean or machine washable. One Size Fit Most (72" wide x 36" long). Available in most colors.